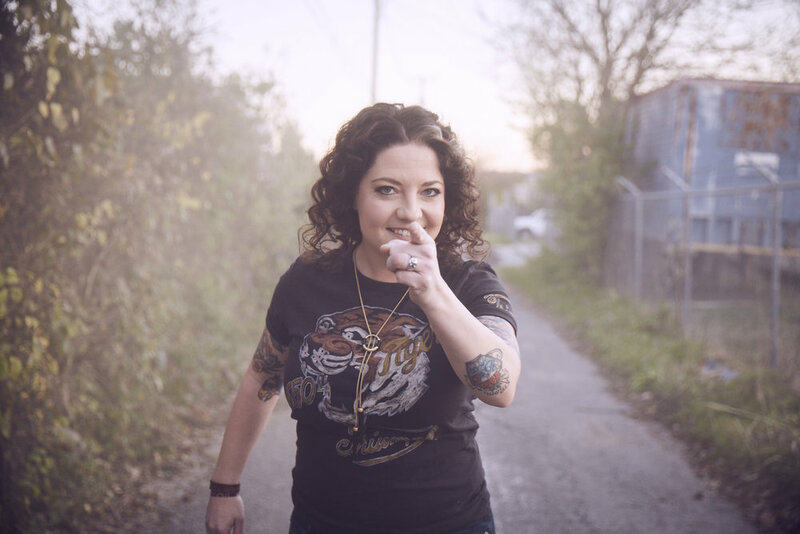 Ashley McBryde’s first major release, GIRL GOING NOWHERE, has only been out for a month, but it’s already being celebrated as one of the biggest debuts by a solo country artist this year. Script & Sound Magazine sat down with the break-out performer at London’s C2C Festival, where she revealed new details about the album’s previously unheard tracks, and recording process. Produced and mixed by Jay Joyce, the singer-songwriter managed to hone and distill all the atmosphere of a live show into the final collection, which was recorded over just two days. Early releases, A Little Dive Bar in Dahlonega, and Girl Goin' Nowhere, swiftly put McBryde on the map as a serious, game-changing artist to watch in 2018. Now, she’s followed them up with a series of powerful songs and stories, including Livin’ Next to Leroy, which looks into addiction. “It sounds like it might be a sad song, but it’s not. I’m not glorifying it at all, but it’s something that we don’t get to touch on very often in country music that deserves to be talked about,” she explains. For an artist who’s now playing opening slots with Chris Stapleton, Eric Church, and Miranda Lambert, McBryde acknowledges it’s been a long road to this point. For the past eleven years, she’s toured the country, playing dive bars and biker bars, writing her way through every road block and challenge along the way. It has made her current success so much sweeter. “Here we are, all this time later, all the doors we tried to kick down, somebody’s holding them for us,” she says. “All this hard work has paid off, and it seems like it’s kinda fast-paced now, but it took a long time to get here. She’s also thankful for the artists who paved the way before her, citing Chris Stapleton, Jason Isbell and Cam as musicians who have enabled the voice of the songwriter to be at the forefront. Most recently, she’s been writing with Terri Clark, Brandy Clark, Miranda Lambert, and Gwen Sebastian. It may have been 11 years in the making, but the current climate means the world is ready to hear – and embrace – Ashley McBryde’s music and message.